What is the Immune Master Class? A must-attend, advanced, 3-day "immersion" training program that is specifically designed for pharmaceutical industry executives who are new or relatively new to Immune therapy for solid and hematologic malignancies. The course uses a highly interactive learning format used successfully at other Master Classes. This Master Class uses expert KOLs as the faculty to enable participants to establish or strengthen personal relationships with world-renowned KOLs treating malignancies with Immune Therapies. This Master Class is also an excellent comprehensive review for pharmaceutical industry executives with a basic knowledge of Immune Therapy and who wish to be completely up-to-date on the latest developments and clinical applications using Immune Therapy for an increasing number of malignancies. Day 1 - March 8, 2017 Dr. Paul Bunn is Co-Chair for Day 1. 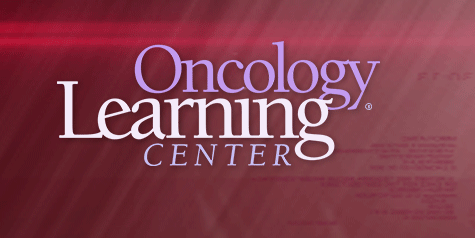 Like the other Master Classes of the Oncology Learning Center, this is a highly interactive advanced course. Participants will be able to interact with the expert faculty via the use of their "smart devices, "any Wi-Fi enabled (iPads, iPhones, Tablets, Laptops, etc.) that they connect to our private network. This will enable all participants to ask queued-up questions of the faculty, and, for participants to answer faculty questions about key terms and concepts, clinical cases, and other clinical and scientific questions. The learning format is designed to facilitate learning IMMUNE CANCER THERAPY. THE SCIENCE & BIOLOGY OF IMMUNOLOGY: The basics of the immune system and how it functions. What do you need to know about the science and biology of immunology to understand today’s immune therapies? This initial session on the science & biology is designed to prevent duplication of this topic in all other presentations by the faculty, and, will provide for maximum time during this Master Class for participants to learn as much as possible regarding the clinical applications and related questions and challenges regarding immune therapies for cancer. The focus in this session and the entire Master Class is on currently available immune therapies and imminent breakthroughs; "what’s happening now" and very short-term horizon. Emphasis is on the elements of the immune system that are important to understand for checkpoint inhibition, and on a few other immune therapies, especially for hematologic malignancies, such as the anti-CD19 antibody, CAR T-cells and immune biology that is relevant to drugs that are in very late-stage clinical development and drugs which likely to become commercially available in the next 12 months or so. The focus of this lecture is to provide a "primer" on immunology in order to understand the clinical applications of immune therapies for cancer. This will include Hematopoietic stem cells, Hematopoiesis, T Cells, B- Cells, ADCC, IgG antibodies, Activated T-Cells, NK Cells, CD19, CD30, CD38, ZAP70, SLAMF7, CDK3, CDK4, CDK8, etc; Chimeric, humanized, and fully human antibodies; immune checkpoints, IGHV gene mutation status, etc. Using cartoon slides, Key Concepts slides and Key Term slides will help keep the "interactive presentation/lecture" pace slow, and facilitate learning. The expert faculty will and keep in mind that much of the audience is not a group of scientists. Thus, this session will be tailored for an audience that is essentially naïve to immunology, and will review the essential science of the current end late-stage emerging immune therapies for solid and hematologic malignancies focusing on the clinical applications of anti-PD1, anti-PD-L1 and anti-CTLA-4 monoclonal antibodies. This non-symposium learning format will help provide the audience with the basic immunology that they need, and nothing more, to help them better understand the numerous clinical presentations that follow for the next 2 & ½ days for each malignancy and corresponding immune therapies, which are primarily Checkpoint Inhibitors and a few other immune antibodies such asanti-CD19 and also CAR T cells for hematologic malignancies. KEYNOTE PLENARY SESSION ON THE DEVELOPMENT OF CHECKPOINT INHIBITORS: The history from the melanoma survival breakthrough in 2010 until 2017. Is there now a PD-1 or PD-L1 inhibitor of choice for most malignancies? How does a clinician select from among the increasing number of checkpoint inhibitor choices? Are the checkpoint inhibitors interchangeable? And these questions are for the expert panel discussions for each tumor type? The modern era of immune therapy began in 2010 with the first Phase III trial that showed an improvement in survival in melanoma patients treated with a checkpoint inhibitor with a checkpoint inhibitor. Significance of PD-L1 and a biomarker: Is this important for all malignancies? At what point and for how long should one be treated with steroids for toxicity of checkpoint inhibitors? Can patients with a grade 3 or 4 immune related adverse event be re treated with a checkpoint inhibitor? For which patients are there absolute contraindications for the use of checkpoint inhibitors? What are the main immune-related toxicities associated with checkpoint inhibitors? How often is toxicity a limiting factor for the use of combination immune therapies? What have we learned about their management from 5+ years of experience in the clinic in several malignancies? Protocols for immune therapy toxicity management: when to treat with steroids, and when to go beyond steroids? Resources for immune therapy toxicity management: what do patients and providers need to know? A patient is responding well for several months or years or longer on mono checkpoint inhibition therapy? Do you continue with monotherapy indefinitely or until prohibitive toxicity or progression or? Many immune therapy trials have excluded patients with a H/O, or, with inactive autoimmune disease, e.g. 10 years ago they had a mild case of Sjogren’s Syndrome. Should a clinician offer immune therapy for a potential lethal malignancy? Categorically not offer immune therapy? Would a clinician use PD-L1 testing to attempt to gauge the potential benefit from clinical use of an immune inhibitor? Are we comfortable with toxicity management when using dual checkpoint inhibition? DEBATE #1: Should Immuno-Oncology Therapy or Targeted Therapy be Used as a front-line regimen for Treatment-Naïve BRAF-mutated metastatic melanoma? FRONT-LINE MONO and WHAT NOVEL COMBINATION OF PD-1 and PD-L1-BASED IMMUNOTHERAPY FOR MELANOMA: WHAT IS THE FUTURE? Is there a meaningful difference between PD-1 and PD-L1 antibodies in melanoma? Is there an efficacy difference between giving nivolumab every 2 weeks and pembrolizumab every 3weeks? Is there truly a tail in the curves showing overall survival with nivolumab and pembrolizumab? Should you continue to treat until progression or beyond progression with PD-1/PDL-1 blockade? What PD-1 combinations are the future of melanoma therapy? When is it appropriate to treat beyond progression with immunotherapy? How long do you continue therapy with checkpoint inhibition? Can the doses or does intervals be reduced if a patient is responding to checkpoint inhibition? Is standard RECIST criteria the optimal endpoint for immune therapies for melanoma? Are novel endpoints for FDA drug approvals of immune therapy drugs needed? Which patients should receive monotherapy and which should receive combination therapy? Can you re-treat a patient with PD-1 blockade with prior Grade 3 or 4 IRAEs from checkpoint inhibition? Can you interchange pembrolizumab and nivolumab for front line treatment of melanoma? Are there meaningful predictive biomarkers to help choose who should receive monotherapy? What are the most promising combination immunotherapies with PD-1/PDL-1 blockade? Will pembrolizumab plus TVEC replace more toxic combinations? ARE CTLA-4 PLUS PD-1/PD-L1 ANTIBODY COMBINATIONS THE FUTURE OF MELANOMA THERAPY? Is the combination of ipilimumab plus nivolumab the future, or is there a better option? Can we devise alternative doses and schedules of the drugs to reduce toxicities and maintain efficacy? What about maintenance therapy? Is it necessary? Do the toxicities come on more rapidly and take longer to resolve with combination immunotherapy? Are PDL-1 and other biomarkers less important for combination immunotherapy? How do you convert a "cold tumor into a "hot tumor"? Tumors are "hot" if they have T cells in the interior and are PD-L1 positive? Can third or even fourth drugs be added to CTLA-4/PD-1 blockade? IMMUNOTHERAPY & TARGETED THERAPY COMBINATIONS FOR MELANOMA: Where do these fit in the future of melanoma treatment? What about ipilimumab and targeted therapy: is it too toxic? Does targeted therapy make a cold tumor hot, and set it up for an immune response? Does the combination of BRAF inhibition and PD-1/PDL-1 blockade make sense? Does MEK inhibition suppress the immune response when combined with PD-1/PDL-1 blockade? Why is CTLA-4 blockade with targeted therapy so toxic, but not so with PD-1/PDL1 blockade? How long should we treat with combination targeted/immunotherapy blockade? Combinations of anti-PD-1 (pembrolizumab, nivolumab) and targeted therapy: is this the future? Immune therapy plus targeted therapy: What is the clinical role for this strategy? Should we administer sequential therapy with targeted and immunotherapy? What is the future of talimogene laherparepvec? RECEPTION for "MEETING the KOL Faculty" and Networking with Industry Colleagues. This is one of numerous opportunities for pharmaceutical industry participants to meet one-on-on and establish and/or strengthen relationships with the KOLs on the expert faculty & also for industry colleagues, advertising agencies and consultants to network with their colleagues in therapeutic, diagnostic and supportive care companies. "DINNER WITH THE PROFESSORS" This is another one of numerous one-one-one opportunities during this Master Class to meet with and initiate relationships with the KOL faculty. Participants choose to sit with the KOL expert of their choice for in-depth discussions and establishing relationships. Only one KOL is assigned a table and this is yet another rare opportunity for 7 Master Class participants, on a first-come basis, to have dinner with the KOL of their choice. To register now click here or call 214-269-2014. DEBATE #2: When is appropriate to stop or modify initial immuno-oncology monotherapy in a first-line patient who has been responding well for approximately one or more years? Is there now a PD-1 or PD-L1 inhibitor of choice for second-line, NSCLC? Should or will some of the newer checkpoint inhibitor entries conduct studies on duration on therapy to try and get market share from the established therapies who are maintaining a patient on a particular immune therapy? Will the cost of immune therapy (either by duration of therapy or as combination therapy) be a limiting factor for using immune therapy? Is this the clinical setting where future emerging checkpoint inhibitors should be tested? Is there a sub population of salvage therapy lung cancer patients where single-agent immune therapy should be tested? Is there a sub population of salvage therapy lung cancer patients where combinations of systemic immune therapy should be tested? In the -24 trial presented in the fall of 2016 would one expect the same result with either pembrolizumab or atezolizumab in the same patient population? Would pembrolizumab have failed in the Checkmate 23 trial? Would you measure PD-L1 levels in locally-advanced or early-stage lung cancer (Stage I or II)? If so, what would you do with the test results? Are combinations of PD-1/PD-L1 + CTLA-4? More appropriate for PD-L1 negative patients? Or are they better for PD-L1-positive patients? Do experts believe that the future will include combinations of immune therapy and chemotherapy? Will this be better than mono or sequential therapy? Are clinicians concerned about DTC marketing over influencing treatment decisions? Is DTC helpful or harmful for use of immune therapy? Should a pharmaceutical company spend more money educating clinicians or DTC? Is there a risk with DTC that patients may be controlling to much of their healthcare decisions? Do clinicians believe that DTC is undermining their credibility? Three to five years from now will we use PD-L1 levels or mutational load or gene panel testing? What percentage of patients request immune therapy before the oncologist/hematologist makes a treatment decision? Would you give immune therapy to patients who request it for early-stage or potentially curative setting of disease? Post-radiation? Post-surgery? For EGFR and ALK mutation-positives or never smokers, when is immune therapy a good choice? Early or late stages of disease? Or in combination with targeted therapy? Many immune therapy trials have excluded patients with a H/O or inactive autoimmune disease, e.g. 10 years ago they had a mild case of Sjogren’s Syndrome. What does a clinician do for these patients who may be approximately 15% of all patients? There are 3 different scenarios for the expert panel: 1) a remote H/O inactive autoimmune disease, 2) H/O of a non, life-threatening autoimmune disease such as RA, or 3) a H/O lupus or ulcerative colitis. Therefore, would a clinician offer immune therapy for a potential lethal malignancy? Categorically not offer immune therapy? Would you use PD-L1 testing to attempt to gauge the potential benefit from clinical use of an immune inhibitor? How is immune therapy most appropriately used for driver-mutation positive NSCLC patients? 1(up front in combination? 2) in combinations in settings of AR? 3) in late-salvage settings before hospice? Because most of the trials with FDA-approved immune therapies there is no time for cessation of therapy…Would a clinician likely have the equipoise to enroll a patient on a trial that randomizes a patient to receive a limited number of months of therapy versus continuing until progression? E.g., Keynote 24 trial with High PD-L1 and after 24 months does the patient need to remain on therapy or should we stop or slow down and lengthen therapy intervals? Would you continue immune therapy beyond progression for a patient who responds to initial immune PD-L1/PD-1 therapy and then progresses after approximately 18 months? What next? Chemo? Try a CTLA-4 inhibitor? Dual combination immune therapy? With the limitations of tumor heterogeneity will blood-based testing ever emerge as comparable to tissue-based testing? Will immune therapy ever find a role for some malignancies such as SCLC or mesothelioma and in a number of non-lung malignancies? If so, in select populations or everyone? Will the future for treating malignant mesothelioma or include combinations of immune therapy and chemotherapy? Is there a role for checkpoint inhibition inn mesothelioma? Will it be better to use mono or sequential immuno-oncology therapy for malignant mesothelioma? What are the main differences between SCLC and NSCLC? LUNCH WITH THE PROFESSORS. This is one of numerous opportunities during this Master Class to meet with and initiate relationships with the KOL faculty. Participants choose to sit with the KOL expert of their choice for in-depth discussions and establishing relationships. Only one KOL is assigned a table, and this is yet another rare one-on-one opportunity for 7 participants, on a first-come basis, to meet with the KOL of their choice. A randomized trial demonstrated a superior survival for pembrolizumab versus atezolizumab in a similar patient population. Is there any obvious difference between these agents? Is PDL-1 expression a predictive marker for patients with metastatic urothelial carcinoma? What is the mechanism of BCG in patients with superficial disease? Will checkpoint inhibition therapy be effective in those patients who fail BCG? What are the logical combinations to pursue of PDL-1/PD1 inhibitors in metastatic urothelial carcinoma? Chemotherapy? Anti-angiogenesis therapy? Other immune checkpoint inhibitors? Will checkpoint inhibition therapy replace chemotherapy as front-line treatment for metastatic disease? What are the studies evaluating checkpoint admission therapy as adjuvant treatment post cystectomy? What is the optimal patient population? Since median progression free survival not to be improved in patients treated with checkpoint inhibition therapy, what is the best endpoint? Atezolizumab versus pembrolizumab for the treatment of platinum-experienced patients with metastatic urothelial carcinoma. The significance of PD-L1 expression in checkpoint inhibition therapy selection for bladder cancer. Combinations utilizing checkpoint inhibition: dual checkpoint inhibition; checkpoint inhibition plus chemotherapy and plus anti-angiogenesis inhibition. The potential for using checkpoint inhibition for bladder cancer patients who fail BCG. The potential of checkpoint inhibition for adjuvant treatment post cystectomy. Optimal endpoints for measuring clinical efficacy with checkpoint inhibition in metastatic urothelial carcinoma. Should checkpoint inhibition therapy be used first-line in patients with metastatic kidney cancer? What is the best time during the course of metastatic disease to administer checkpoint inhibition therapy? What are the optimal combination treatments with checkpoint inhibition therapy to be evaluated in metastatic kidney cancer? Anti-angiogenesis therapy? mTOR inhibition? Should future immune therapy trials and locally advanced kidney cancer be pursued in patients treated Neo-Adjuvantly? Adjuvantly? Are there theoretical differences in outcome? What is the role of checkpoint inhibition therapy in non clear cell renal cell carcinoma? Is there a theoretical difference in outcome? What is the role for anti CTLA-4/PD1 treatment in metastatic renal cancer? Will combination therapy replace single agent therapy? Does the increase in efficacy of antiCTLA-4/PD1 therapy justify it toxicity? Can we select patient populations who may most benefit from this approach? Is there any continued role for treatment with interleukin-2? What is the best population? Clinical data using checkpoint inhibition in the first-line setting for renal cell cancer. Combinations using checkpoint inhibitors plus target therapies for renal cell cancer. Clinical data using checkpoint inhibition in the adjuvant and neo-adjuvant settings. Combinations using anti-CTLA-4 and ant-PD-1 antibodies in renal cell carcinoma. The future role(s) of interleukin-2 in renal cell carcinoma. There have been 5 new drugs approved for metastatic castration resistant prostate cancer since 2010. Sipuleucel-T is currently approved for mCRPC in minimally symptomatic/asymptomatic patients who have non-visceral disease. Where do you think the best position for immune therapy to be in CRPC. Pre-chemotherapy? Post chemotherapy? At first PSA rise? Is there a theoretical difference in the response to immune checkpoint therapy in patients who are hormone sensitive versus those who are CRPC? Since progression free survival does not appear to be a useful endpoint for measuring efficacy of immune therapy in CRPC, what endpoint should be used? Given the competing approved hormonal and chemotherapeutic agents for CRPC, is survival a viable endpoint? PDL –1 expression in metastatic CRPC specimens is low. What are other relevant immune markers in this disease? The randomized trial of ipilimumab versus placebo in men with CRPC in a retrospective analysis demonstrated a poorer outcome for those patients with visceral disease. Should immune therapy be investigated in patients with non-visceral disease only? The role of immune checkpoint therapy determining the best metastatic castration resistant prostate cancer subtypes for the marketed immune therapies. Checkpoint inhibition and hormone sensitive versus hormone resistance CRPC. Relevant biomarkers for selecting immune therapy in CRPC. Optimal endpoints for measuring clinical efficacy with checkpoint inhibition in CRPC. The clinical applications of immune checkpoint therapy in visceral and non-visceral prostate cancer. Will chemotherapy be an essential backbone for all or most regimens for advanced or metastatic head and neck cancer despite the advances with immune therapy? Are there any differences between targeting CTLA4 and PD-1/PD-L1 for advanced or metastatic head and neck cancer? Is PD-L expression a valid biomarker for predicting response to checkpoint inhibitor and other immune therapy for head and neck cancer? Assuming FDA approval of both a novel targeted agent as monotherapy and also an immunotherapy as a single agent for advanced or metastatic head and neck patients, how does one decide which to use first? How does one decide whether to enroll a patient with advanced or metastatic Head & Neck Cancer in a clinical trial with a targeted therapy or an immune therapy, or in that trial with a combination regimen of both? The future of chemotherapy with immune therapy for advanced or metastatic head and neck cancer. Anti-CTLA-4 versus anti-PD-L1 and PD-1 in advanced or metastatic head and neck cancer. The sequencing of immune therapy and targeted therapy in advanced or metastatic head and neck cancer. Factors involved with deciding when to use an investigational therapy with a checkpoint inhibitor for advanced or metastatic head and neck cancer. Can plasma DNA replace CT scans for predicting disease recurrence? Can they do this better? Can mutations in the BRCA pathway help with predicting response to therapy? Is the tumor microenvironment the doorway to a new frontier for managing pancreatic cancer patients? If FDA approved, will tumor cell hypoxia activation become an option for first-line pancreatic cancer therapy? How will non-traditional, bold new investigational therapeutic strategies affect the overall treatment paradigm in the refractory setting and also for treatment-naïve patients? How close are the following to becoming therapeutic realities: Targeting Delta-Like Ligand 4 (DLL4) and Targeting Notch 2 and 3 receptors? How close are the following to becoming therapeutic realities: Chimeric Antigen Receptor (CAR) T-cells; Vaccines and Vaccine Combinations strategies using GVAX Pancreas followed by CRS-207? Is there a role for targeting immune checkpoint inhibition? When to switch to an alternate chemo doublet versus experimental immune therapy? Are CAR T (Chimeric Antigen Receptor) cells ready for phase III trials? Are other agents for pancreatic cancer such as vaccines ready for phase III trials? Is there a subgroup of treatment naïve patients with Hodgkin lymphoma who are candidates for Immune oncology therapy? Should predictive biomarkers be used for selecting Hodgkin lymphoma patient candidates for immune therapy? Do we have a useful biomarker for using immune checkpoint inhibitors? Can immune checkpoint inhibition replace ASCT? When should anti-PD1 therapy be used as a consolidation after initial therapy for Hodgkin lymphoma? Are the traditional endpoints such as OS, OPFS and RR still appropriate for lymphoma patients treated with immune therapies? What is the best way to assess efficacy with immune therapy for lymphoma? Hodgkin Does immuno-oncology represent a possibility to lower toxicity versus traditional therapy for lymphoma or myeloma or is it just that toxicities are different but still problematic? Is there a role for immune-checkpoint inhibition as empirical therapy without patient selection for Hodgkin lymphoma? If approved by the FDA for previously treated lymphoma patients should immunotherapies (checkpoint inhibitors) be used for initial therapy without biomarker selection outside of clinical trials? What about the use of 1st-line combinations of checkpoint inhibitors for Hodgkin lymphoma and Non-Hodgkin Lymphoma outside of clinical trials? In clinical trials? What is the role of new effective agents in the treatment of relapsed indolent non-Hodgkin Lymphoma? Should BCR pathway antagonist therapy replace chemoimmunotherapy as first-line therapy for CLL? How do you manage the side-effects of novel targeted agents in the treatment of lymphoma and CLL? Update on the new targeted agents in development for NHL and CLL. Is there a CD19 targeted antibody or cell therapy of choice for relapsed/refractory ALL? When should treatment be instituted for cytokine release syndrome and neurotoxicity resulting from blinatumomab or CAR-T cells? Should immunotherapy for ALL replace allogeneic stem cell transplant or be used as a bridge to transplant? Design of chimeric receptors – does it matter? What to do with an ALL patient that achieves a complete remission – to transplant or not? What are the mechanisms of non-response and relapse? Is there a future for combination therapies? Is there a role for immune-checkpoint inhibition as empirical therapy without patient selection for multiple myeloma? Can a clinician best recognize and manage the unique characteristic of checkpoint inhibition, including the different patterns of response to therapy, and, the immune-related adverse events (IRAEs) in patients with multiple myeloma? Is there a subset of patients with multiple myeloma who are candidates for Immune therapy? Should predictive biomarkers be used for selecting myeloma patient candidates for immune therapy? Is there a meaningful role of combination therapy using immune modulatory agents (IMiDs) and New-Generation monoclonal antibodies? Are the traditional endpoints such as OS, OPFS and RR still appropriate for myeloma patients treated with immune therapies? The overall objective of this live, 3-day IMMUNE THERAPIES FOR CANCER MASTER CLASS 2017 is to provide much needed training to pharmaceutical company executives regarding the newest class of anti-cancer therapies, immunotherapy, which is rapidly finding a growing number of important clinical applications for treating many solid and hematologic malignancies. The current and emerging immune therapies for cancer include checkpoint inhibitor antibodies, and an increasing number of other types of drugs that affect the immune system such as CAR T cells. In addition, this immune therapies for cancer training initiative is also designed to help non-industry Health Care Professionals (HCPs) who provide direct patient care, to better understand the most recent clinical developments regarding immune therapies for malignancy. This Master Class begins with three interactive presentations that serve as the foundation for the entire three-day course: 1) the science and biology of immunology, reviewing the basics of how the immune system functions. This initial presentation provides what the learners need to know to better understand the clinical applications of immune therapies for cancer. 2) Next is the Keynote Plenary Session reviewing the development of checkpoint inhibition. The modern era of immune therapy began in 2010 with the first Phase III trial that showed an improvement in survival in melanoma patients treated with a checkpoint inhibitor. 3) The final introductory presentation reviews the toxicities and their management associated with the clinical applications of immunotherapies. Recognizing the time constraints of a three-day course, certain malignancies will receive more time on the agenda than others, reflecting the relative proportion of mature clinical data for treating a one malignancy versus another with immune therapy. For example today, the clinical applications of immune therapy for both melanoma and lung cancer are more advanced and supported by more data from a large number of clinical trials versus the more recent clinical applications of immune therapy such as their roles in treating bladder cancer, renal cell cancer, prostate cancer and head and neck cancer. In addition, with several more years of clinical experience using checkpoint inhibition for malignancies such as melanoma and lung cancer, more questions exist for those cancers, such as: "How long should checkpoint immune therapy be continued for a lung cancer or melanoma patient who is in remission or has stable disease?" Also, "What combinations of immune therapies are optimal for malignancies such as melanoma and lung cancer?" The Master Class agenda has been structured so that the expert cancer KOL faculty helps pharmaceutical and diagnostic companies to provide better service to their customers: the oncologists, hematologists, pathologists, fellows, nurses pharmacists and other HCPs involved in delivering anti-cancer care with immune therapy. This Master Class is a CME/CE-accredited course (certified for physicians, nurses and pharmacists) that utilizes world renowned academic experts as the program faculty. This affords a rare opportunity to the pharmaceutical industry executives attending the Master Class to establish and/or strengthen their relationships with the leading KOLs involved with immune therapy for cancer. There are several meal functions and an evening reception and dinner where one KOL faculty member is assigned to one table to enable 7 pharmaceutical executives to interact with the KOLs of their choice . The Oncology Learning Center (OLC) has accredited this course for 17 hours of CME/CE credit because many of the executives within pharmaceutical and diagnostic/laboratory companies are physicians, nurses, pharmacists and other HCPs. The OLC has also intentionally made this Master Class a CME/CE event so that no commercial interests could be a part of the faculty and to help avoid any type of commercial influence. This Master Class is therefore an objective, unbiased review of the current and emerging therapies and diagnostics for using immune therapy for numerous malignancies. Outside of this Immune Therapies for Cancer Master Class, pharmaceutical industry and diagnostic industry professionals have only very limited opportunities to engage with the KOLs, who for the most part are the experts who are typically any or all of the following: Principal Investigators of key lung cancer clinical trials; authors of publications and abstracts from key lung cancer trials; authors of many textbook chapters on lung cancer; committee members of various guidelines and other professional cancer organizations such as the American Society of Clinical Oncology and The American Society of Hematology. The comprehensive Master Class agenda on this Website describes in great detail the content of each interactive presentation. In addition, the expert academic and leading ancillary expert faculty members and their biographies are provided. The educational format or learning design of this Master Class is one that is intentionally very interactive. From the beginning presentation on day one reviewing the science and biology of immunology for cancer, through to the panel discussion after the final session on multiple myeloma on day three to conclude the Master Class, all presentations, sessions and panels are structured so that the audience is continuously engaged with the expert faculty. To begin each presentation, the expert faculty member asks the audience of pharmaceutical executives several "Rapid-Fire" questions to stimulate their involvement with the faculty. During each presentation the expert faculty member also asks questions of the audience to enhance the learning process. And throughout the entire Master Class, each audience participant is able to ask questions of the expert faculty. These questions are asked via the use of iPads and our private Wi Fi network inside the classroom. All questions are continuously "queued-up" and visible to all faculty members and the entire audience. The ability of the audience to "up-vote" any questions helps ensure that the most important questions are answered. And by structuring a least 15 minutes for Q&A and expert panel sessions after each presentation the agenda permits a maximum amount of time for Q&A to further enhance the learning experience. To receive CME/CE credit, the learners attending the March 8-10, 2017 Immune Therapies for Cancer Master Class, have two weeks following the program to complete the required program survey (on line), and to successfully answer the knowledge test questions found on Oncology Learning Center (OLC) Website for this Master Class to earn up to 17 hours of continuing education credit. All of the Master Class presentations’ PowerPoint® slides will be available for downloading immediately following the Master Class. Approximately 4 months later the entire Maser Class will be recreated using the original audio and slides as Webinars that are archived for one year, and available to everyone on a "24/7" basis. NOTE to the pharmaceutical executive audience participants: Bring your own "Smart Devices" to interact with the faculty. Please bring your iPhones, iPads, Tablets, Androids, Laptop Computers, etc., to the March 8-10, 2017 Master Class. We will also have a few extra iPads for participants who may have not brought a smart device. Using any smart Device connected to our private Wi Fi network will enable the Master Class participants to ask any questions of the faculty throughout the 3-day program from their seats in the audience, and also, to enable participants in the audience to answer the numerous clinical questions from each faculty member during their presentations. In 2017, cancer deaths in the US remain a significant unmet medical need, and, is expected to be a major clinical and scientific challenge for the foreseeable future, but with modest incremental advances. The introduction of immune therapy, especially checkpoint inhibitors, beginning in 2010 for melanoma, then subsequently for lung cancer, and most recently for bladder cancer and head and neck cancer, represents a significant advance in the fight against cancer. Immune therapy represents the third major class of anti-cancer drugs, following chemotherapy and targeted therapy. The need for advanced, in-depth, and high-quality education regarding immune therapy has never been greater. This Master Class helps address this educational need with the added benefit of establishing relationships with the KOLs who in many cases conducted the clinical trials for these immune therapies for various malignancies. This educational topic continues to become more important each day, as new immune therapies and strategies on applying them in the clinic for treating cancer patients are introduced into standards of care. The target audience for this CME/CE Master Class on Immune Therapy for Cancer is primarily the pharmaceutical and diagnostic industry executives who are involved in either drug development or commercialization. A large and an increasing number of pharmaceutical and diagnostic company executives holding various medical, research, marketing, sales and other vital positions within drug and diagnostic companies involved in treating cancer with immune therapy, have clinical, scientific or advanced healthcare degrees and licenses, such as NPs, oncologists, pharmacists, nurses, Nurse Practitioners, Physician assistants, PhDs, dieticians and other physicians and Health Care Professionals (HCPs) and have chosen to utilize their HCP degrees for careers within pharmaceutical, biotech and diagnostic/laboratory companies, and ancillary companies such as medical advertising and communications companies. In addition, all HCPs, including oncologists, hematologists, other physicians nurses, pharmacists and other HCPs, in either private practice or academia, who are interested in this Immune Therapy Master Class CME/CE activity are invited to attend. And finally, anyone else who may not be a HCP, but rather is an important and integral member of the chain of professionals involved in the delivery of care to cancer patients are also invited to "audit this Master Class for no CME/CE credit." This is especially true for many marketing and sales executive but it also includes consultants, and other corollary personnel involved in lung cancer. The inclusion of everyone from various backgrounds, especially in a limited group of 120 participants, will only help to facilitate an important interactive dialogue during this three-day Master Class. Understand the differences in efficacy and toxicity between the current and emerging checkpoint inhibitors (anti-PD1, anti-PD-L1 and anti-CTLA-4 )and other immunotherapies such as CAR T Cells Hematopoietic stem cells, Hematopoiesis, T Cells, B- Cells, ADCC, IgG antibodies, Activated T-Cells, NK Cells, CD19, CD30, CD38, ZAP70, SLAMF7, CDK3, CDK4, CDK8, etc. Compare and contrast the various emerging and current immune therapies for pancreatic cancer. Compare and contrast the targeted and emerging immune therapies for leukemia. Analyze the different strategies for non-small cell lung cancer involving immune therapy. Devise various treatment strategies using immunotherapy utilizing monotherapy, combinations and sequencing of therapies for melanoma and NSCLC. Assess the new and emerging data utilizing immune therapy for Hodgkin Lymphoma. Compare and contrast the use of the immune therapy for Diffuse Large B-Cell Lymphoma, and Follicular Lymphoma. Evaluate the different therapeutic strategies for Multiple Myeloma, including New-Generation targeted therapy, immunotherapy with checkpoint inhibition and with IMiDs, in both combination and monotherapy regimens. Integrate the new checkpoint inhibitor immune therapies for metastatic renal cell carcinoma. Describe the various immune therapy strategies for metastatic Urothelial Bladder Cancer (mUBC). Compare and contrast the different immunotherapy strategies for metastatic and relapsed squamous cell Head & Neck cancer. Review the differences in efficacy and toxicity between the current and emerging checkpoint inhibitors (anti-PD1, anti-PD-L1 and anti-CTLA-4) and other immunotherapies such as CAR T Cells Hematopoietic stem cells, Hematopoiesis, T Cells, B- Cells, ADCC, IgG antibodies, Activated T-Cells, NK Cells, CD19, CD30, CD38, ZAP70, SLAMF7, CDK3, CDK4, CDK8, etc. List the various emerging and current immune therapies for pancreatic cancer. List the targeted and emerging immune therapies for leukemia. Recall the different strategies for non-small cell lung cancer involving immune therapy. Identify various treatment strategies using immunotherapy utilizing monotherapy, combinations and sequencing of therapies for melanoma and NSCLC. Review the new and emerging data utilizing immune therapy for Hodgkin Lymphoma. Review the use of the immune therapy for Diffuse Large B-Cell Lymphoma, and Follicular Lymphoma. Identify the different therapeutic strategies for Multiple Myeloma, including New-Generation targeted therapy, immunotherapy with checkpoint inhibition and with IMiDs, in both combination and monotherapy regimens. Describe the new checkpoint inhibitor immune therapies for metastatic renal cell carcinoma. List the various immune therapy strategies for metastatic Urothelial Bladder Cancer (mUBC). Recall the different immunotherapy strategies for metastatic and relapsed squamous cell Head & Neck cancer. This symposium provides 17 hours of CME credit to physicians, 17 hours of CNE credit to nurses, 17 hours of CPE credit to pharmacists, and a Certificate of Attendance for fellows and other HCPs for receiving 17 hours of credit from their professional organizations and accrediting societies. The BioMedical Learning Institute is accredited by the Accreditation Council for Continuing Medical Education to provide continuing medical education for physicians. The BioMedical Learning Institute designates this live activity for a maximum of 17 AMA PRA Category 1 Credits™. Physicians should only claim credit commensurate with the extent of their participation in the activity. The BioMedical Learning Institute is accredited by the Accreditation Council for Pharmacy Education as a provider of continuing pharmacy education. To receive CE contact hour credit, attendance at the entire activity and the successful completion of the post‐test and evaluation form is required. The BioMedical Learning Institute is accredited as a provider of continuing nursing education by the American Nurses Credentialing Center's Commission on Accreditation. The BioMedical Learning Institute designates this educational activity for 17 contact hours. Accreditation by the American Nurses Credentialing Center's Commission on Accreditation refers to recognition of educational activities and does not imply approval or endorsement of any product. Physician Assistants: AAPA accepts certificates of attendance for educational activities certified for Category 1 credit from AOACCME, Prescribed credit from AAFP, and AMA PRA Category 1 Credit™ from organizations accredited by ACCME or a recognized state medical society. Physician Assistants may receive a maximum of 17 hours of Category 1 credit for attending this symposium. Fellows will receive a certificate of attendance that they can submit to their accrediting organizations for continuing education credit. The Immune Master Class will be conducted at the Hyatt Regency Hotel located in Terminal C which is very conveniently located inside the Dallas/Ft. Forth (DFW) International Airport. We have secured 70 sleeping rooms at a discounted room rate of $209 per night (single and double occupancy) at the Hyatt Regency DFW. Triple occupancy is $234. Quadruple occupancy is $259. All of these discounted rates are exclusive of applicable taxes which are estimated at 13%. The Hyatt Regency recommends using Passkey to make your web-based sleeping room reservations. Passkey is made available by Hotel on a complimentary basis, and provides an electronic reservations interface that is customized for the Event. "Click here on the Passkey to reserve your sleeping room." Reservations may be made, modified or cancelled by attendees using Passkey. All information is confidential between the Hyatt Regency and the guest. Reservations for rooms accessible to guests with disabilities may be made in the same manner. Reservations must be made on or before the Cut-Off Date which is February 21, 2017. Individuals will also be able to make, modify or cancel reservations by calling 888-421-1442 toll free and referring to Group, Event name or Event code. Reservations must be made on or before the Cut-Off Date of February 21, 2017. For the convenience of all participants of the forthcoming Master Class we have selected the Hyatt Regency Hotel, inside Terminal C of the Dallas/Ft. Worth International Airport, for conducting the Master Class and for all sleeping rooms. Please note #1: There are two Hyatt hotels located inside the Dallas (DFW) Ft. Worth International Airport. One is the Hyatt Regency (inside Terminal C) where the Lung Cancer Master Class will be held and where we have reserved sleeping rooms at a special discounted rate. Detailed hotel information is provided below. Please note #2: As is the situation in many cities in the United States, there is another major airport servicing the Dallas and Ft. Worth, Texas cities and surrounding areas: That airport is Dallas Love Field which is the national (US) hub and headquarters of Southwest Airlines. The Dallas Love Field airport is located approximately 30 miles away from Dallas Fort Worth (DFW) International airport, where the Master Class will be conducted. Depending upon ground automobile traffic this will be between a 30-and 90-minute taxi drive between these two airports (Dallas Love Field and DFW International) plus approximately an $80 taxi fare. Also, please note that Southwest Airlines DOES NOT service Dallas Ft. Worth (DFW) International Airport. Therefore, it is highly advisable that all executives flying to Dallas to attend the Master Class use an airline that flies to Dallas Ft. Worth (DFW) International airport (the location of the Lung Cancer Master Class) and NOT to Dallas Love Field which is mandatory if you fly Southwest Airlines. Southwest does not fly to Dallas Fort Worth International Airport (DFW). This Master Class will be most beneficial to pharmaceutical industry participants who have at least a basic understanding of cancer therapies, including chemotherapy and targeted therapy, with at least 6 to 12 months of experience. This Immune Therapies for Cancer Master Class is designed to benefit both highly experienced pharmaceutical and diagnostic/laboratory executives, as well as executives who are new or relatively new to immune therapies for cancer because the field of immune therapy is changing rapidly. Much of what was "new" 6 months ago is "old news" today. Why Take This Immune Master Class? Can you afford not to attend this Master Class on immune therapies for cancer and not be the most competitive within your industry? Can you afford to allow your competition to have stronger relationships with the immune therapy KOLs? In most oncology/hematology pharmaceutical companies, only the sales representatives receive formal cancer training of any kind. In addition, your customers, the practicing oncologists, hematologists and other cancer HCPs are required to take 30 hours of oncology/hematology CME or CE training annually. Therefore, how do cancer executives like yourself receive this essential training, especially on immune therapy for cancer? How do you keep current? How do retain your competitive advantage, especially with the KOLs? This Immune Therapies for Cancer Master Class is only offered ONCE every three years. The next Immune Therapies for Cancer Master Class will be conducted in March 2020. This Immune Therapies for Cancer Master Class is the ONLY practical and cost-effective way for any pharmaceutical executive to become current regarding the information that such an industry executive needs to know. This Immune Therapies for Cancer Master Class is the ONLY practical and cost-effective way for anyone to get to know, personally, most of the country’s top-tier KOLs in lung cancer. Attending this Immune Therapies for Cancer Master Class provides a major benefit: establishing and/or strengthening personal relationships with the immune therapy for cancer KOLs while learning the subject in a 3-day, advanced-level immersion course. Today, there is so much new information on so many current, new and emerging immune therapies for such a large number of malignancies: melanoma, lung cancer, bladder cancer, renal cell cancer, prostate cancer, head & neck cancer, pancreatic cancer, Hodgkin Lymphoma, Non-Hodgkin Lymphoma, leukemia and multiple myeloma. Today, there is so much new information on the management of immune-related toxicities. Within the R&D pipelines of numerous pharmaceutical companies, there is an ever increasing number of immune therapies, more of which will become FDA approved in 2017. Because this Master Class is taught by the top-tier expert KOLs, it affords a rare opportunity to personally meet, establish and/or strengthn your relatonships with them. During the three days of the program, there is a one-hour welcome reception on day one, and also a private dinner where one KOL sit at each table enabling 7 industry executives to meet the KOLs of their choice. There are several meal functions (lunches, breakfast and dinner) where individual KOL faculty members are assigned separate tables to enable pharmaceutical industry participants to sit with the KOLs of their choice: one formal dinner, two buffet breakfasts, and two buffet lunches. There are also numerousbeverage breaks. With a limit of only 120 participants there is ample time for personal meetings with the KOLs. Private practice medical oncologists/hematologists and related cancer HCPs will benefit from this three-day update by the academic experts and by networking with the pharmaceutical/diagnostic industry executives.